The most popular Loctite and Teroson cleaners and lubricants from Henkel are now supplied with a new dual spray head that allows the user to dispense the product as a spray or a stream. Users can choose whichever precise and clean dispense method best suits the application. The aerosol products that are available with the new all-in-one flexible spray system are for a wide range of production, maintenance and repair tasks. The Loctite cleaners and lubricants come with a green cap and white insert and the Teroson lubricants have a black cap with red insert, matching the respective brand colours. The four cleaners from the Loctite range are the general-purpose SF7063 Super Clean; SF7039 Contact Spray Cleaner for electrical contacts; SF7200 Gasket Cleaner and SF7235 Brake Cleaner. 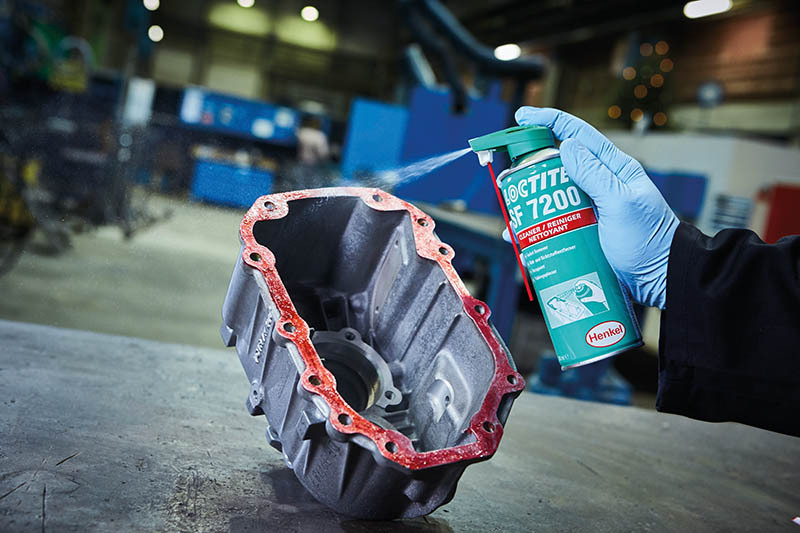 The lubricant range features both Loctite and Teroson brands and comprises the LB8201 and VR610 general-purpose Fiveway Spray; LB8021 and VR700 Silicone Spray; LB8011 and VR711 High-Temperature Chain Oil and the Loctite LB8018 rust.